My son is so content laying in the DockATot, he enjoys being nice and cozy with a plush cocoon-like design as if his mommy or daddy were holding him. You can even use it as a changing table, just add a little cover for protection. My son even worked on tummy time. It travels easily with two handles, to keep at home or take it on the go. The DockATot is 100% cotton and machine washable – the cover is very easy to remove for easy cleaning maintenance. Always place your baby on his/her back while in the DockATot®, except during supervised tummy time. Pediatricians recommend babies be placed on their backs to nap and sleep to reduce the risk of SIDS. Never use the DockATot Deluxe and Grand Docks in a crib, bassinet, or play-yard setting. Keep baby’s sleep area in the same area where parents sleep to reduce baby’s risk. Give your baby plenty of supervised tummy time when they are awake for healthy development. DockATot® makes supervised tummy time fun and comfy for baby. The DockATot® must always be used in a child-safe and “supervised environment.” A supervised environment is one in which a semi-alert, non-inebriated adult is co-sleeping next to baby. Adult does not need to be awake next to baby. Child’s head should always be positioned at the head end of the DockATot®. Keep the baby’s sleep area free of loose items, such as toys, crib bumpers, pillows, and blankets. The American Academy of Pediatrics recommends the use of wearable blankets. Always ensure that the DockATot is placed fully supported on its back on a flat, firm, and stable surface. The DockATot Deluxe should not be used for unsupervised sleep. The DockATot Grand makes for a comfortable and snug sleep area for children ages 9-36 months. Please make sure to unbuckle the clip located on the foot end of the Dock to ensure a safe sleep environment. When using the DockATot Grand in a child’s bed, ensure that the Dock is of a manageable height from which the child is able to safely descend. The DockATot Grand must not be used for infants. NOTE: Failure to follow these warnings could result in death or serious injury. Also, DockATot is not designed to prevent a baby from rolling over. Rolling over is a natural development, which should be encouraged during waking and supervised time. Up until approx. 8 months, one must always place a child to sleep on his/her back. As to bedding, it is advisable to use wearable blankets, such as sleeping bags. 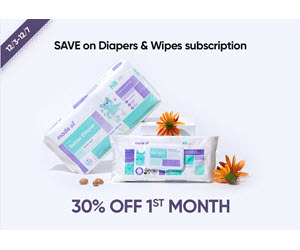 For any questions about this product, please go to https://dockatot.com/. BUY on Amazon: http://amzn.to/2C5uRlM This is an affiliate link and we get a very small percentage of your sale, at no cost to you. Ready to win one for yourself? Enter below! Previous Post: « Across Ancient Sands: The Poet Sfas’ Journey Around the Mediterranean Sea in the Early 12th Century BCE – Available on Amazon! I can’t believe I missed this giveaway, amazing! Thanks for the review, we just found out we’re expecting baby #4 and your review is super helpful! I would love to gift this to my sweet niece! This would be for my twins. I would love to gift this to my niece! I am so ready to have another baby in the family! This mama would love to have this for her new baby boy. I would gift this to my niece. I would love to gift this to my niece for her little boy. Perfect for my son due in July. My best friend, who is due in May could use this! This would make an awesome gift for my niece! My best friend is having her first in the next couple of months. This would be for her daughter. This would be a wonderful gift for my niece! I would love to gift the dockatot to my niece! I would gift this to my niece who is due in July. I would give this as a gift to my niece! We just found out yesterday the gender of our baby…. a boy! I would love to win it for him. Perfect for our baby due in July! I would! I’m due with a baby within the next month! I would love to use this for our bundle of joy due in July! I would love to give this to my sister in law! I would gift this to my niece who has a newborn. I would use this for my infant! my sister is having a baby girl soon and would love this! I have a new grandchild who would use this. Thanks for the fabulous giveaway! I would love it for my little niece looks so nice to use. I would use this for our next grandbaby we are expecting later this year! This is so awesome! I want it for my grandbaby. If I won this would be for my baby that’s due in June. I would give this to my sister to use for my new niece or nephew! I commented on your Best Tuna Salad Ever post. If I won, this would be for the youngest child in our family.